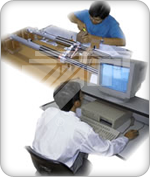 Tri-Wall (Malaysia) Sdn Bhd was established on 22 January 1990 by Tri-Wall K.K. 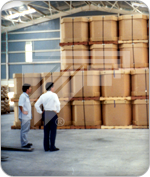 Japan and we are an ISO 9001:2008 and ISO 14001:2004 certified company today. 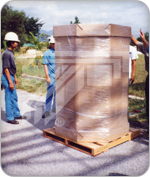 We are the first fabricator of Tri-Wall to be introduced and marketed in Malaysia and are specialist in the designing of custom made “Tri-Wall” boxes that use the Triple A fluted fiber board. These Tri-Wall boxes are just as durable as those made by plywood or wood. Our unique internal and external box design will definitely be safer and more economical. We design and deliver only the highest quality products to our customers using our Tri-Wall Pak and Bi-Wall Pak fibre boards. 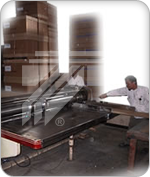 We will analyse your current packaging system for improvements and our proposed design will incorporate the improvements. 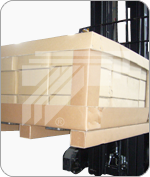 Tri-Wall can contribute to significant cost reduction in shipping and overall material handling costs. 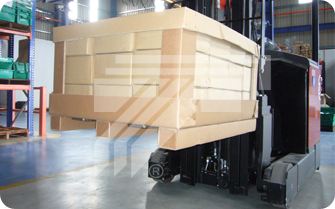 With our establishment, you will get the opportunity to benefit from the strength of Tri-Wall Pak, a unique triple wall fiber board developed for heavy duty packaging and meeting all packaging specifications and regulations in the world. We are confident that Tri-Wall (Malaysia) will fulfill its important role as a Heavy Duty Packaging manufacturer and as an upstream supplier of quality packaging.